It’s all coming together. Or is it? This year was a solid one for the Academy but we definitely had some ups and downs. Let’s start with the downs: we screwed up badly not just once but twice. The first mistake was getting a bit cocky about the Academy and changing the way we explained it to existing students. In the past we’d gone into each class with 6th graders in, introduced the Academy and encouraged them to join. Almost everyone did. Last year, we asked everyone to come to a special explanation session on a Sunday, then asked them to come in again in January and line up to sign up for the days they wanted. Only about half the students joined. This is a mistake we’ll be paying for for the next five years, as we have a year that is quite a bit smaller than it should be. Looks like we’ll have 22 second-year students next year, spread over three classes of 4, 6, and 12 students. Doubly regrettable because the Academy classes work much better with at least ten students in. This year we went back to the original, more humble model and right now halfway through the explanations pretty much all our 6th graders have signed up. If all goes well we should end up with 28 first-graders in three classes. The second mistake was delegating too much. As planned I assigned a teacher to each class, but then failed to monitor them as closely as I should have (in my defence we had some pretty serious issues crop up this year that took a lot of time at first and then burned me out later). As a direct consequence of me not paying enough attention to how the classes were going, the current first-year classes in particular are not where I want them to be, and all the reading classes have gone slightly off course. Nothing too serious, but changes will be needed next year. Despite the lack of attention from me, the classes mostly went well and students learned a lot. 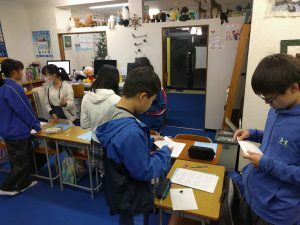 We did Eiken last month at the school, and 78 out of 82 students passed the paper test. Last weekend we did interview practice, and everyone was basically okay to pass. This is very encouraging, as our student body is very mixed and doesn’t just consist of elite students. We wrote 2/3 of the A3 output course, and it turned out really well. I’m proud of all our materials, but this might be the best one yet. We also finished one year of the A5 advanced course. Pretty encouraging. It will be interesting to see how many of the new JHS 3rd years stay on into high school, as they were our first big year. Also, the mathematically gifted among you will notice that this would give us 101 students, finally reaching our longstanding goal of 100 students in the Academy. Eventually I am hoping we’ll have something like 200 in the program (see below for how this may be possible). We’re going to rent the third unit on the ground floor of our building. This will give us all the car parking spaces (an additional four) plus get rid of the grumpy guy that used to rent it so no one will be complaining about our students going forwards. This extra unit will give us about 280 new class places and allow us to have all junior high school levels of the Academy, plus one high school level, every weekday. I’m going to be much more hands on with the reading classes next year, and with the junior high school first year output classes. This will allow me to develop them a bit more and address structural problems (as well as train our teachers). I’m going to take another leaf out of SEG’s book and try to find supplementary reading material for our beginner levels. At the moment the students read sets of readers with CDs, but I would also like to mix in picture books and other reading material that they might find interesting. A big work in progress. We’ll finish the A3 course and start working on our final level, A4. We’ll also write a second year of the A5 course. This will complete the Academy materials, at which point we might start working on a course for elementary school students. The outlook is good. I am not going to be able to be as hands-off next year as I was this year, but I think the program will get a lot stronger because of that. The fluency course was not originally part of the Academy plan. Originally I wanted to run the Academy purely as an extensive reading course that would supplement what students were doing at school (and cram school/juku). This is much easier logistically and makes scheduling and running classes very simple. It’s also more profitable as you can fill classes with students of different levels. This first iteration of the Academy did not work well. We found that without help it was difficult for students to learn English just from reading. We also found that students did not form a social bond with the school or their peers and thus missed out on motivation. Some students did well with the ER-only model, but many did not. 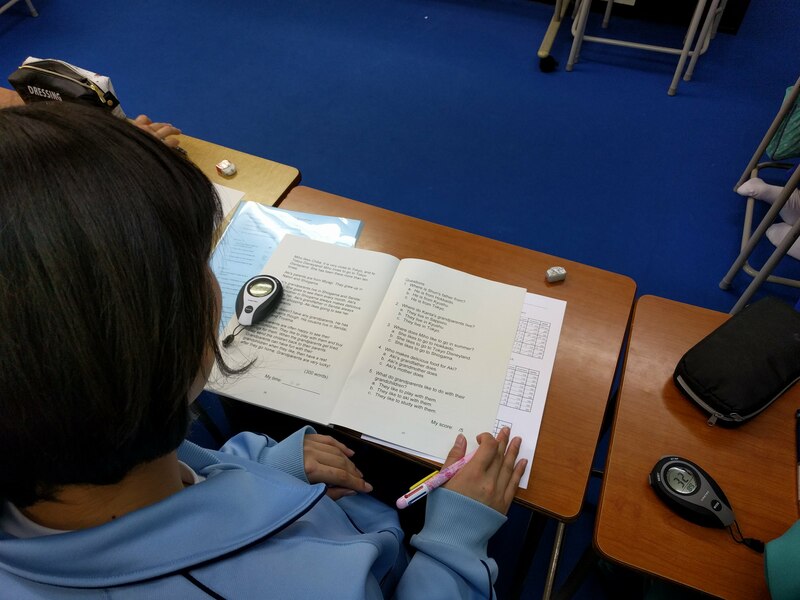 The second iteration of the Academy imitated SEG in having reading classes and communication classes. For the latter we used commercial textbooks. This worked better than ER-only, but there were problems with the tone, content, amount of material, and amount of repetition in the textbooks. The classes also worked well if run by an experienced engaged teacher but less well with less experienced teachers. In order to deal with these problems, we created the Academy Fluency Course. It was written from scratch, extensively trialled with our classes here, and is designed to provide students with huge amounts of repetitive practice in reading, speaking, listening, and writing. Fluency is gained by repeating tasks you can already do, and the goal of the Fluency Course is not to teach students new language (although they do encounter huge amounts of new vocabulary and grammar in the course) but rather to allow them to practice enough to internalise some of the language they know and become fluent in using it. The Cambridge Academy now consists of 140 minute classes: 20 minutes of workbook/school work/individual study, 60 minutes of input (extensive reading and listening), and 60 minutes of output (fluency course). Junior high school 1: Year One (these materials are in beta and are described in detail below). The theme for this level is the students daily and school lives. Junior high school 2: Year Two (these materials are in alpha). The theme for this level is Japan. Students read and talk about different areas/aspects of Japan. Junior high school 3: Year Three (these materials are not written yet). The theme for this level is the world. Students read and talk about different areas/aspects of the world. Senior high school initial course for first and weaker second years: (these materials are not written yet). This level will provide a transition between the junior high school materials and the advanced course below. Senior high school advanced course for stronger second and third years: (this is being written now). This level is based on the PDR method and involves students reading, thinking, discussing, and writing about topics each week. In 2017 we ran classes using the Year One materials. Halfway through the year we started writing the Year Two materials with the second and third graders. The plan is to write Year Three this year alongside the advanced high school course and to use them with the third year JHS and our advanced high school class. No example dialogue. Instead students write their own (length as above). Instead of three short timed readings, there is one reading with three times the word count. Teacher corrects and chooses the best student dialogues, then prints them for students to practice with. 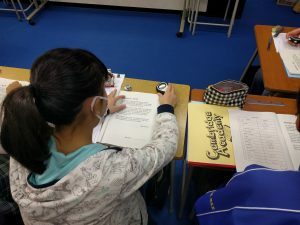 The Fluency Course depends somewhat on the fact that students are also learning English at school. It is designed to cover the gaps in students learning, mainly speaking, reading, and writing exercises, and particularly drilling these. So far results have been very encouraging. 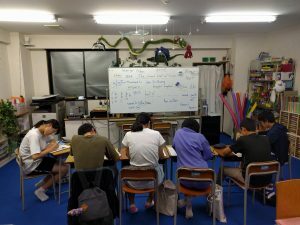 Our students are not all particularly academic or motivated, and it has been very encouraging to see all of them improve and succeed using the Fluency Course. More able/advanced students are able to challenge themselves within the course, while weaker ones can support themselves and keep up. I will write a description of an output class in a future blog post. The Academy is still going well, although we ran into an unexpected problem this year. I’m still having a lot of fun and the students are doing extremely well. I’m particularly encouraged by the fact that all our struggling learners have built a solid base and are no longer struggling! There is quite a bit of this. We have finally taken the plunge and rented a new classroom next to our main classroom. This will give us a dedicated Academy classroom (that will be used by other classes in the daytime) and allow us to have all classes do reading first and fluency second. This matters because doing it the other way around results in students trying to read at the end of the day when they are tired from actively speaking and writing English. It also means that we will be able to increase fluency class sizes to twelve. In the schedule for next year I am not in charge of any classes. I will definitely be there every day, at least to start with, and will work with all the teachers to set up routines and address problems. Once the classes are running smoothly though, I plan to cut down to 3/4, 1/2, or even 1/4 class time. I think at least for now I will want to go to each class at least once a month at a minimum. We’ve started working with a marketing expert to redesign the school website, improve our online advertising, and write new copy for all our marketing/informational materials. So far it’s been really helpful, and I’m excited to see if it makes any difference to our recruitment. Just having the website say what we mean more clearly has been completely worth the cost so far though. We’ve been filling holes in classes by having the odd student join and also by persuading students to shift from input only (extensive reading) to input and output (fluency course). We currently have space for five more new second years and ten more new third years. The fluency course materials are really coming along. We made some great little tweaks this year and the course is a lot more solid. We have pretty much finished the second year materials and are thinking about what the third year will look like. I’ll write a post about the fluency course soon. There is one piece of bad news, but it’s a doozy. 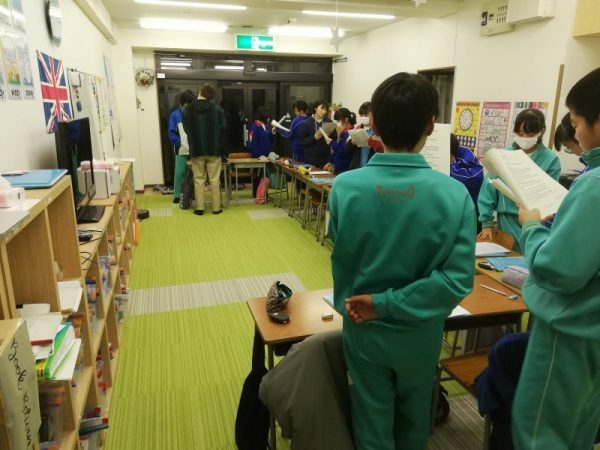 Last year pretty much all our elementary school sixth grade students joined the Academy when they moved to junior high school. This year we had 31 sixth grade students and we assumed (hah!) that they would pretty much all join. At the same time we made some changes to how we handled the signup and explanation sessions. Well, right now we only have 19 students signed up for the input+output course, and one for input only. We have a couple of trial students who are interested too, but as our capacity is 36 this is pretty bad. I’m hoping a combination of some people changing their mind, some people introducing their friends, and some people seeing the new website will help, but otherwise instead of three classes of twelve we’re looking at one class of six, one of four, and one of nine. One of the best things about the fluency classes is the atmosphere from larger groups, so I am a bit worried about the smaller classes. We have two months to find another 16 junior high school first years to join the input+output course. Wish us luck! We need to buy a lot of new books and get ready for next year. We are hoping to hire one more intern to join our current three. I am planning to write a couple of blog posts (one about the fluency course and the regular stocktake post). We need to get the new classroom set up once we get the key on March 1st. It looks like we’re going to fill our first year output classes, as one student has changed to output after a few months of tutoring, and a trial student last week is going to try to do the same. Today I’m going to share the students’ reading numbers. This gives some idea of how much our students are reading given an hour in class (probably more like 50-55 minutes) and for a few of them also reading at home. All numbers are up to date as of today. You can’t really tell from the numbers above, but each year is reading more/better/faster than the years above them. Our current first years seem to be doing much better than our current second years did in their first year, who did better than our current third years did in their first year. I predict our current first years will be hitting 500,000 words by the end of junior high school, which should set them up to read a couple of million by the time they finish high school. We need to continue buying intermediate books, and I am working on that. I am trying to find more leveled readers and books aimed at native speakers rather than graded readers (which tend to be a bit more dry). We already have mostly graded readers anyway. Students who find a series they like (Magic Tree House is very popular) and then read all the books in the series tend to do very well in terms of motivation and reading progress. I have pretty much decided not to increase class sizes above ten, mostly due to the physical constraints of our current classrooms. I think we could do twelve easily, and probably up to twenty, but we just don’t have the room. In terms of who will teach the classes, I am hoping to assign a teacher to each class next year. I will then join certain classes to model, observe, give feedback, etc. This should allow me to develop the system and get more of a birds’ eye view. Eventually it should allow me to take a step back with regards to the actual teaching too (and maybe open another school, but that’s a different blog post). What do you think? What are your students’ numbers like? Any good intermediate books/series I could get? 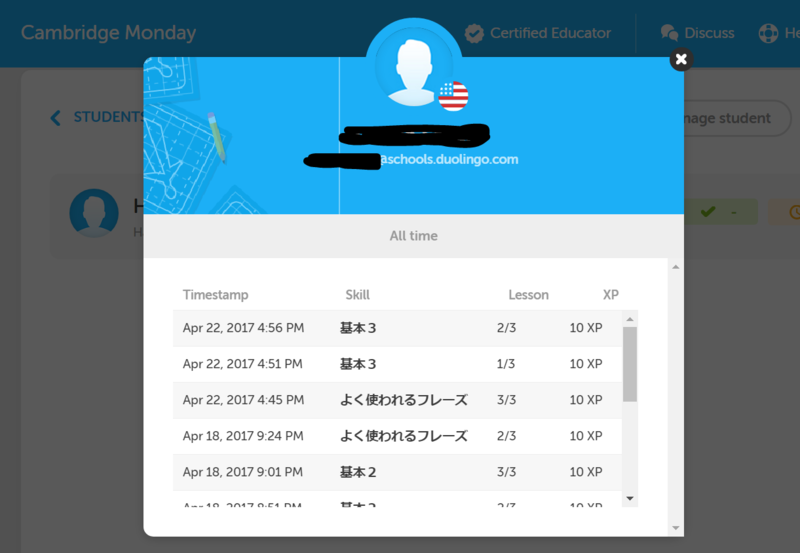 Last year I recommended Duolingo to one of my students: a junior high school boy who had been struggling with English. He got really into it, doing a lesson a day or so for the last six months. His score on the last school test of the year? 96%. 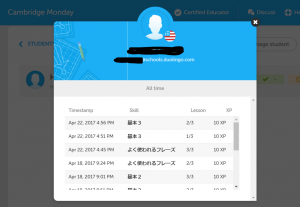 I’ve played with Duolingo to review my French, German, and Spanish skills, and to have a go at Swedish, but they also have a teacher dashboard where you can track student progress. Best of all, it’s free and optimized for smarphones and tablets. You can also use it on a computer, but I think the mobile version is better (less typing). 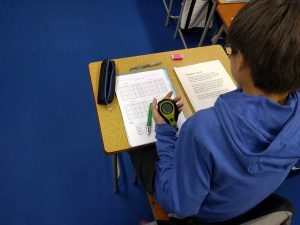 Beginners and low-level students can start at the beginning, and more experienced students can take the level test and skip the easier lessons. For students who don’t have their own smartphones, I ask them to install it on their parent’s and borrow it for English practice. Not everyone is doing the optional homework, but the ones who are seem to be enjoying it. 1) some students click on ‘let’s get started’ instead of ‘log in’ and end up making new accounts that I can’t track. I haven’t quite figured out how to fix that one yet. 2) some students have found that their account is set to Spanish. As they don’t read Spanish they weren’t able to fix the settings. Fortunately I do read Spanish, so was able to do it for them. Other than those two problems, I really recommend Duolingo for junior high school and above. 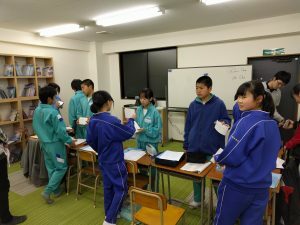 It’s a fun and different way to get more English input and practice. Anyone else using Duolingo? How are you finding it?